What are your copyright guidelines if we would Iike to use your Canvas screenshot images when creating training materials for faculty and students? Example: Why create a screenshot of dragging and dropping calendar items when yours is so great! The images are clean and professional for a PowerPoint presentation or print document. 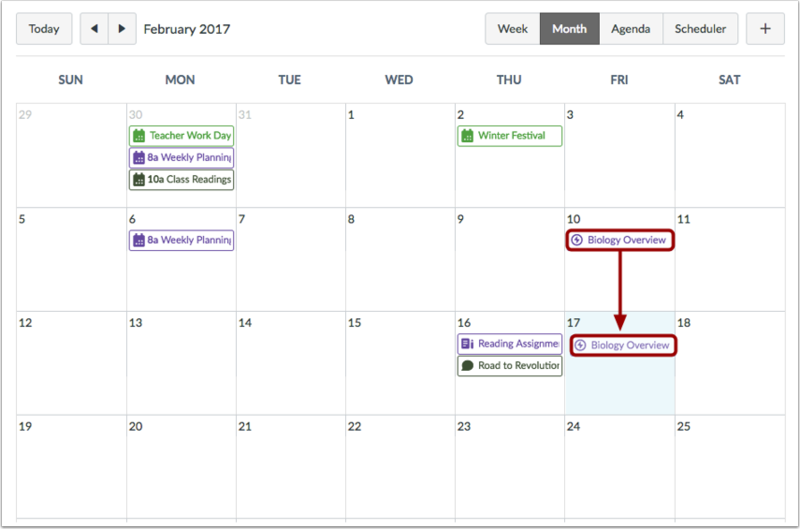 This screenshot is from the page How do I edit an event or assignment in the Calendar? Are there Canvas logos and guidelines for Canvas users? Hi Stefanie, what might the attribution look like if I am borrowing from Canvas images/documentation? I want to stay consistent with what others are using. That said, we don't actually know how our users are choosing to present that attribution, so I'm going to throw this question open to the entire Community: What does your attribution for using Canvas images and documentation look like? I typically add this at the bottom of my front page when used for a course, at the bottom of an intro page for lessons and/or slideshows.